2018’s slow start to the market has cast many newfound and seasoned crypto investors, into the doldrums. But, as the Asian markets settle post-Lunar New Year and outstanding regulatory uncertainty is cleared up, the lows of January and February stand to be no more than a fleeting thought. Below is a list of 10 innovative blockchain projects and platforms, all supported by strong teams, disruptive ideals and infrastructures, and clear and transparent roadmaps, that should be on your radar this Q1. 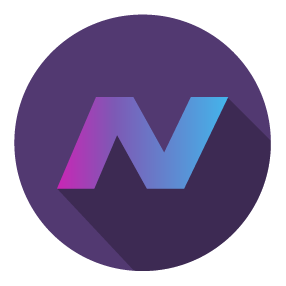 Supporting SegWit functionality, and hailed as the world’s first fully-autonomous cryptocurrency, NavCoin is a decentralized cryptocurrency, based off Bitcoin, enabling faster (30 second), low-cost (.0001 NAV), fully-anonymous transactions. data vulnerability, requiring databases to “roll back” to a recent backup point after corruption, resulting in missing transactions and value. The answer? A dual blockchain. In 2017, NAV grew its community to over 50,000 members, spread across various community channels, and rolled out an impressive range of projects, including a mobile and desktop wallet (NavPay), novel obfuscation encryption layers (NavTech 1.2), an energy-efficient staking solution for NavCoin rewards (NavPi), and increased stability and integration capabilities (NavCoin Core 4.0). Launch Valence, a platform for developers to build blockchain applications. Implement lightning network transactions allowing cross-chain atomic swaps. Support instant exchange between NAV and other currencies (NavChange). Establish a payment gateway for users to spend NAV at any business accepting currencies supported by NavChange. From the creators of the first Chinese voice assistant, Smart 360, and built on the NEO blockchain, DeepBrain Chain is a decentralized neural network distributing artificial intelligence (AI) computational power, costs, and security across world-wide mining nodes. DBC’s decentralized network leverages private, flexible, low-cost, and secure AI computing to meet world-wide enterprise demand, all paid for in GAS. Additionally, DeepBrain Chain operates as a secure data trading platform, where data ownership and usage rights are explicitly defined and separated, creating a harmonious AI market, protecting both buyer and seller from illegal resale and data dissemination. AI is undeniably changing the way we conduct, and will conduct our daily lives. In 2016 alone, tech giants Google and Baidu spent between $20 to $30 billion on AI, and from 2012 to 2016, the AI market saw a formidable increase in over 5,000 AI startups across the world. The AI market has turned into a race as players try to capture a share what’s predicted to be a trillion dollar industry by 2035. DeepBrain Chain is here to connect all major, and minor, competitors – starting with the development of their TestNet in Q1 2018. DBC is backed by a strong team, including CEO and 2015 winner of Shanghai’s computer industry ‘Innovative Figures’ award, Feng He. They also have a robust list of clients, including Siemens, Samsung, and Microsoft. Also, in 2017, DBC was awarded first prize in the Harbin Institute of Technology’s “man-machine dialogue evaluation”, beating more than 30 Chinese AI teams. Delayed Proof-of-Work (dPoS), a PoW chain with backups written to the Bitcoin blockchain. BarterDex, an atomic-swap decentralized exchange. Decentralized ICOs (dICOs), an ICO incubation and blockchain assistance solution. Specifically, Komodo empowers two types of users: average crypto investors and blockchain entrepreneurs through a secure, low-cost, scalable blockchain solutions platform. 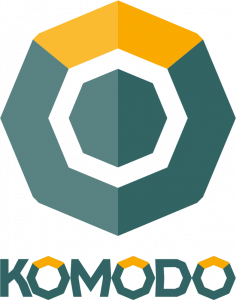 Aside from decentralized token exchange, issuance, and distribution, Komodo offers the ‘Agama Wallet’, an encrypted, offline, multi-currency wallet for users to to aggregate all cryptocurrency funds into a single app. At present, the crypto ecosystem relies heavily on third-party, centralized exchanges, such as Binance, Bittrex, and Poloniex to exchange coins, resulting in astronomical fees for users and heightened exposure to malicious attacks. Barely one year old, Komodo is the first platform to provide decentralized atomic swaps and order matching, eliminating third-party interference (middlemen, vouchers, and escrow services) when exchanging one cryptocurrency for another. Thus, it remedies vulnerabilities and inefficiencies accompanied with the current value exchange. As of February 7, 2018, Komodo has executed more than 50,000 atomic swaps. Although scheduled for launch in November 2017, Komodo is still yet to launch the world’s first dICO with strategic e-banking partner Monaize. Once live, Komodo is set to make crypto history by bridging the gap between the blockchain and banking world. Recently rebranded from RaiBlocks to Nano, Nano is everything Bitcoin never was. Correcting and building on three fundamental issues impeding Bitcoin’s mass practicality (lack of scalability, high latency, and power inefficiency), Nano is a low-latency, high-performance, trustless cryptocurrency utilizing a novel block-lattice data structure. As opposed to distributing an entire public ledger across all nodes, Nano users enjoy their own individual account-chain, which is only able to be updated by the respective account holder (them). Due to its lightweight protocol, Nano boasts instantaneous transactions, unlimited scalability, and no fees, offering an effective, and superior alternative to Bitcoin. With a recent rebranding and listing on Binance, Nano has created a brand ready to be recognized and adopted by mainstream audiences. As addressed in a February 6th SEC hearing on virtual currencies, money laundering, energy consumption and ICOs are all contentious issues likely to be regulated in crypto’s upcoming future. And, should these regulations be passed, Nano stands to fare quite well due to its transparency, lack of high-power mining hardware and minimal required resources. With already 4 million transactions under their belt, a vibrant supportive community and more upcoming exchange listings, 2018 could be the year of mass adoption for this practical and cost-efficient Bitcoin alternative. 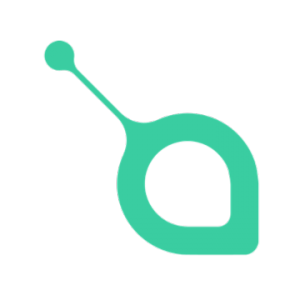 Competing with the likes of Amazon, Apple, DropBox and Amazon S3, Siacoin is a decentralized cloud storage platform utilizing unused and idle hard drives across the world to rent out spare hard drive space. Sia’s decentralized infrastructure enables a competitive blockchain marketplace where users compete for business and determine hosting prices, and has drawn parallels with AirBnb and Uber’s two-sided, community-based platforms. In a world where centralized file and data storage is the norm and controlled by a select few and control, reliability, security, and cost-efficiency are virtually non-existent, Sia offers a cheaper, low-latency, reliable, more secure solution, allowing users to enjoy benefits of cloud storage, without waiving control. Sia isn’t just aiming to capture 10% of the $200 billion cloud storage market, they are striving to dominate it, citing a 70-90% share as their ultimate goal in their Wiki FAQ. And, all for a price of $.50/TB (100 times cheaper than the world’s leading CDN, Akamai). For scale, with storage points spanning 50 countries and 6 continents, and hosts within 50 milliseconds of every major city in the world, Sia’s reach already exceeds that of Amazon. Already in the billion dollar market cap club, Sia’s blog predicts big developments in 2018, namely, the release of file sharing between Sia users, approaching major companies to act as their storage layer (including Dropbox and Netflix), and elevating Sia’s public profile through PR and marketing efforts. If you’re curious about further mid-to long-term developments, Sia’s Trello board provides an active and up-to-date resource. Kucoin Shares isn’t just a token, it’s an incentivized bonus generated on Kucoin Exchange, a rapidly growing Hong Kong-based digital exchange that popped up in mid-2017. Implementing a unique daily payout structure, Kucoin Exchange rewards users holding Kucoin Shares, the exchange’s token, in the form of 50% of daily trading fees, spread across every crypto traded that day. 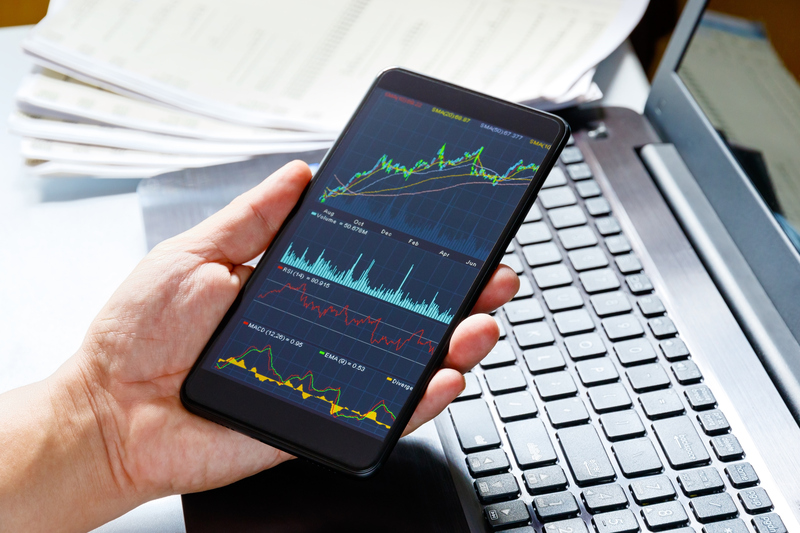 Users collect a “dust” of all cryptos traded daily, proportional to their KCS holdings, ultimately, adding up over time and allowing investors to diversify their portfolio. If you’ve just gotten into crypto, there’s a good chance you’ve had issues finding an exchange accepting new registrations. While other exchanges such as Binance, Bittrex, and Bitfinex have been denying new users, Kucoin has welcomed new registrations by the thousands, amassing over 200,000 registered users since August 2017. Coupled with an unperturbed few months post-launch and increasing daily volume, Kucoin’s incentivized token and daily dividend, KCS, is an attractive option for investors looking to nab a diversified slice of the pie. Should Kucoin achieve status in the top echelon of exchanges (by volume), your accumulated “dust” could result in a healthy portfolio of numerous tokens and coins. To calculate your daily payout based on your amount of shares, click here. Based on the Ethereum blockchain, Basic Attention Token seeks to revolutionize, and remedy, the severely flawed and invasive digital advertising ecosystem by rewarding advertisers, anonymous ad viewers, and publications who provide quality content. 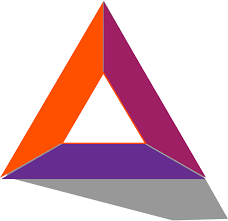 True to its name, BAT is the literal representation and verification of a viewer’s attention span, rewarding viewers who engage with advertising and attention-based services on the Brave browser (an open source, privacy browser and ledger system monitoring where users most spend their time) with Basic Attention Tokens, fewer targeted ads, and decreased susceptibility to malware. BAT not only rewards users and viewers, but also publishers via increased revenue due to reduction of advertising middlemen and fraud, and advertisers, who get more bang for their buck on data collection. BAT’s growth and adoption relies on the acquisition of publishing partnerships, and 2018 has started favorably, with BAT securing British news and media giant, The Guardian, as a publisher in January. Also, BAT’s marketing efforts in 2018 have not gone without yield; their 1 million dollar giveaway, which was aimed at jumpstarting the publishing ecosystem, doubled the amount of publishers from 4,000 to 8,000. Basic Attention Token’s 2018 roadmap includes ledger and Ethereum-tested dashboard analytics for publishers, the cultivation of several premier publishing partnerships, and scalable ad revenue models and growth hacks, putting quality content back in the hands of users and eliminating pesky and malicious ads. While BAT strives to change the way the Web is monetized, Theta is aiming to disrupt today’s online video industry through an end-to-end video streaming infrastructure, eliminating fundamental industry issues such as low quality content, high publisher costs, and a centralized and inefficient streaming ecosystem. a decentralized peer-to-peer content delivery network (CDN). an incentivized rewards system for viewers sharing bandwidth and streaming resources. These are all essential for a sustainable and innovative streaming ecosystem. Additionally, the Theta platform supports vertical dapps for movies, esports, education, entertainment, enterprise conferencing and more, allowing each to issue their own tokens. Backed and advised by the likes of YouTube co-founder, Steve Chen, and Justin Kan, the co-founder of the live streaming video platform, Twitch, Theta’s platform is set to disrupt the modern online video industry the way YouTube did in the early 2000s. In 2016, Theta launched a live streaming platform, Sliver.tv, which raised almost $10 million in Series A funding in August 2017. Theta’s 2018 roadmap emphasizes integration of their Theta token, the platform’s incentive mechanism, into the Sliver.tv platform, followed by native Theta blockchain development and launch by end of year. If all goes to plan, Theta and blockchain-based entertainment platforms could cripple the Netflixes of the world by freeing content creators from studios and gatekeepers, creating new categories of channels (sci-fi, live events, esports, fantasy), eliminating third-party advertisers, and making on-demand subscriptions obsolete. Originating from Disney’s Seattle office in 2016, and intended to be used as their own private blockchain, Dragonchain was initially abandoned and then released as open-source software under the Disney Open Source Program. It was then picked up and cultivated by the nonprofit Dragonchain Foundation, taking apex form as a serverless, scalable, private/public hybrid blockchain platform for businesses looking to integrate business applications onto blockchain. 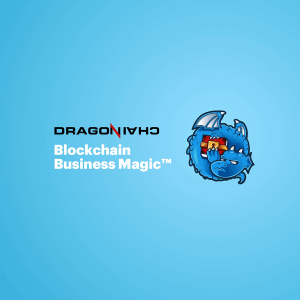 Most notably, Dragonchain supports a pre-constructed smart contracts library ecosystem (Java, C#, Python, Node, Go), crowd-scaled project incubator, and marketplace for companies to access technical, legal, economic, and marketing subject matter experts. 2018 is the year of Dragonchain’s commercial, serverless platform and incubator rollout, along with a smart contracts library and APIs, and commercialized marketplace. The platform advances countless real use cases, ranging from rights expression and licensing, to decentralized storage, to peer-to-peer financial derivatives, making it a one-stop shop for businesses seeking easy and comprehensive blockchain integration. Dragonchain also comes at a time of significant increase in the number of cloud computing businesses and blockchain solutions wanting to move past a conceptual stage and launch a functional project. Furthering seamless integration onto the blockchain is Dragonchain’s unique architecture (a five-level consensus trust spectrum), where data consumers enjoy greater security as verification levels increase. Building on the success of Thailand’s leading online payment gateway and processor, Omise, OmiseGO is Omise’s blockchain back-end. It is looking to “unbank the banked with Ethereum”, through an agnostic decentralized exchange, liquidity provider mechanism, clearinghouse, and asset-backed blockchain gateway. Simply put, OmiseGO is the missing link between financial institutions, payment systems, and jurisdictions. It allows for “real-time, peer-to-peer value exchange, and payment services” across multiple blockchains, and without the need of a trusted gateway. Omise, OmiseGO’s parent company, has been thriving in the payment processing industry for over 4 years. They possess numerous strategic partnerships, including Thai Airways, McDonald’s and Allianz, and OmiseGO stands to benefit from these partnerships, acting as their back-end once the product goes live. OmiseGO is currently in the process of building their Plasma Network, an Ethereum-based scaling solution, and laying the framework for their “coup de grâs,” a currency-agnostic, cross-chain compatible, decentralized exchange. Furthermore, Ethereum founder and OmiseGO advisor, Vitalik Buterin, has acknowledged OmiseGO’s token model as his favorite in a December, 2017 tweet. With OMG’s PoS mechanism and wallet slated for Q1 or Q2 release, 2018 is set to be an integral year for this sleeping giant. Surprised I didn’t see Oyster, the most undervalued and delivering at the moment instead of only promises. Thank you kindly for the mention Owen! You’ve definitely highlighted some of the strengths of Komodo Platform. Here are a couple more things your audience might like to know about Komodo Platform. Holding $KMD in the Agama wallet will generate a 5% APR reward. Importantly you are not staking your coins to receive the 5% rather you just need to hold as little as 10 $KMD in the wallet. Furthermore $KMD is a privacy coin using zk-snarks the ultimate in privacy technology! Thanks for the reply and additions! It was great chatting earlier and I am excited for what 2018 holds for Komodo! Great article! Another that I recommend you look into is the Hive Project (HVN). They are working to solve a real worldwide problem by helping businesses get the financial liquidity they need to be successful. They are servicing a 3 trillion dollar industry (invoice factoring). By applying the benefits of blockchain to this industry, they will bring factoring to businesses and spaces where it previously was not practical and will make it more efficient in places that are already using it. They have a very experienced team and have already formed significant partnerships with Lendoit, InsurePal and FintruX. They also have a deal with a leading ERP provider ADACTA (Gold Microsoft Dynamics partner) to be integrated into ERP software that small businesses are already using. This deal covers Central and Eastern Europe and Russia. They have signed letters of intent, covering the huge Turkish and Latin American markets. They released a working demo in December 2017, running on Ethereum test network. The Hive Platform is going live worldwide by the end of Q2 2018. Also, they are set to list on a significant exchange by the end of Q1. The Hive Project is still mostly under the radar and has a ton of upside from here. Really appreciate the response. I’ll start looking into Hive, and will get back to you on it with some thoughts via PM on Twitter (feel free to message me there), and will be easier to respond. WTC is definitely worth keeping an eye on as well. Some of the most promising partnerships in crypto and real world use cases implementations around the corner. Most people don’t even know about the dual chain infinite scaling, smart contracts, erc20 equivalent tokens native to Walton platform and waltonchain’s ability to host own ICOs on their platform. Walton has been one of my favorite projects for a long time, and I’ve written and tweeted about it before. I actually wrote a piece for another site and included a breakdown of Walton, which can be found on my Twitter. Can PM me to chat about it if you would like, because it is one of my favorite projects out there. Yes, I second Waltonchain. Many partnerships already and the engines haven’t even been lit yet. Great tech and a great Dev team too. Great list! Ive been holding $KMD and $DRGN for a bit. I am also high on $DGPT. Digital inheritance coin. Low market cap, beta release 2018Q1, new exchanges soon, and a token burn in May 2018.
lol. no wtc, no ven, no IOT play. bad list. What do you think of the XRB/Nano Bitgrail hack? I decided to dump mine after the hack, but I don’t necessarily think its the end of nano or anything. What are your thoughts? Also, think Wanchain should definitely be on the list. If anything, it just has so much hype its worth being on 2018 watchlist. Really appreciate the comments. As for the BitGrail hack, I had written the piece right before it happened, so that was unfortunately bad timing. Overall, I think the tech is there with Nano, and am happy to chat about it further. Feel free to PM me on Twitter. I’ve actually included Wanchain in a roundup I did for another site, and am quite excited for it as well. You will be thrilled if you take a look at Burst! looking forward of those coins too! but the information of DRGN is a little bit wrong. Dragonchain was never ‘abandoned’ from Disney. On the contrary Disney supported Dragonchain till it gets there place on the Dragonchain fund. After that, every infromation of yours has been helpful Thanks! NAV?? Does anyone ever do any research before posting things like decentralized and a Project who uses centralized servers to handle their Anon transactions?? I miss Ethos! Awesome product is being developed, watch there site for details. It is gonna be a big coin this year!